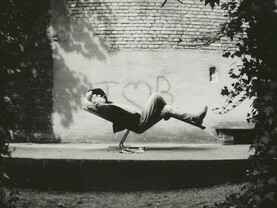 When a designer turns the chair world upside down. 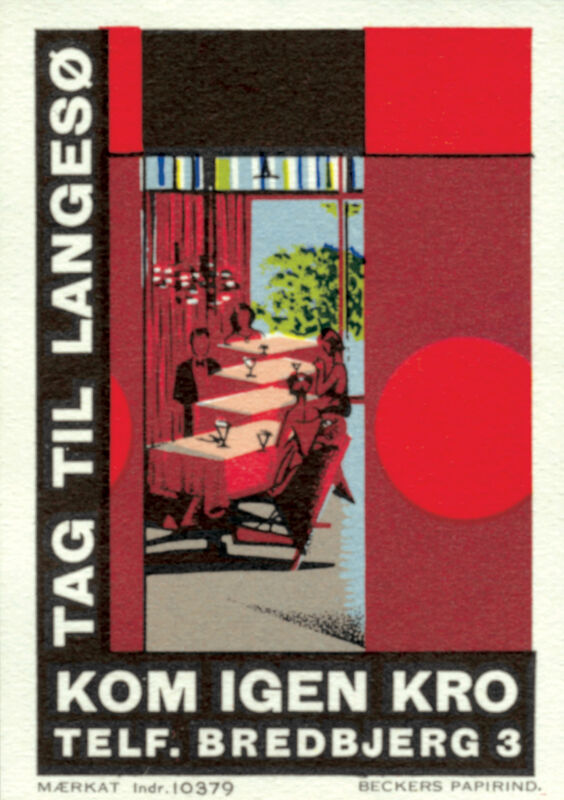 In 1958 the Danish newspaper Fyns Social-Demokrat wrote, ‘The “new” restaurant Kom Igen in Langesø Park has experienced such a rush since it opened that the waitresses have been close to throwing in the towel. However, once things settle down, guests will see that Langesø is now one of the most unconventional inns in the whole of Denmark. What had happened? 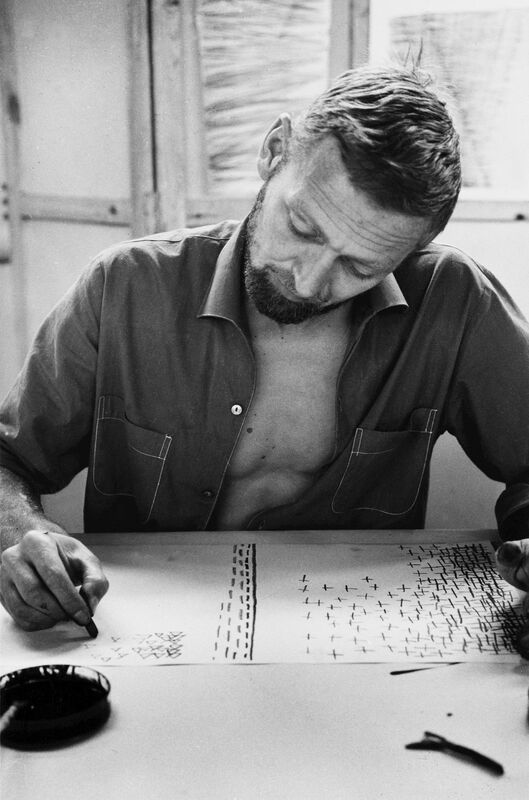 Danish architect and designer Verner Panton had been commissioned by his father, the manager of the restaurant Kom Igen (which means ‘Come again’ in Danish), to refurbish all of the rooms and design an extension. 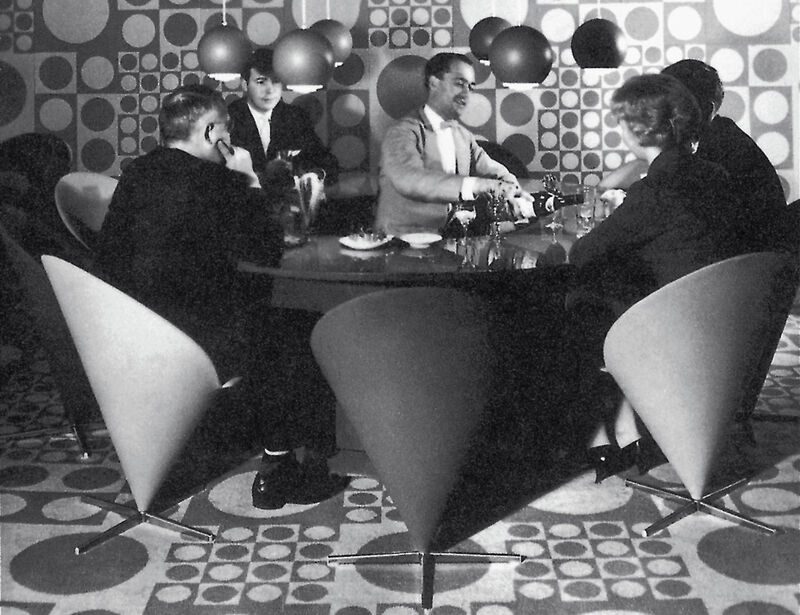 Panton was given free rein and designed the entire interior, including textiles, carpets, lighting, furniture, uniforms for the staff and the menus. Using geometrical shapes and limiting the colour scheme to only five different shades of red, Panton developed a revolutionary setting. News of the opening of Kom Igen spread like wildfire, first locally, then throughout the whole of Denmark, and the restaurant was discussed at length in the media. This culminated in the rush mentioned in the introduction. 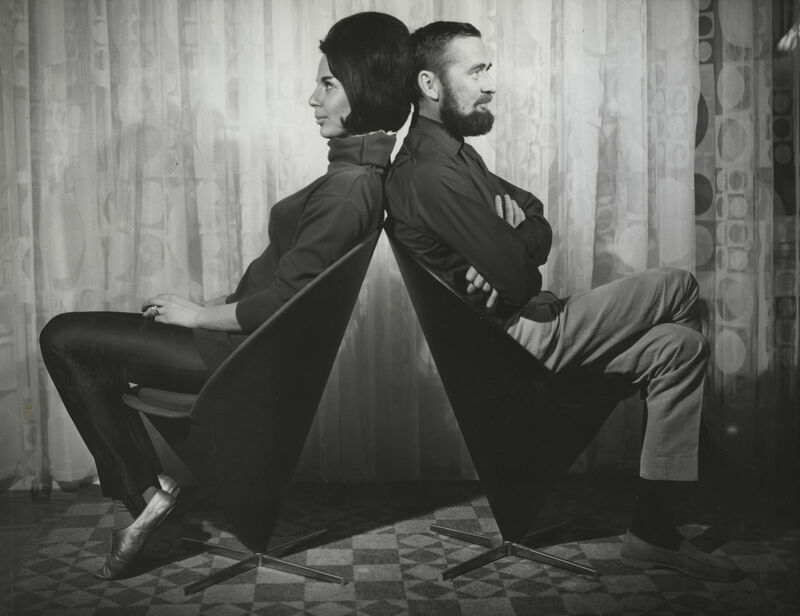 Verner Panton also designed his own chair for the project: the Cone Chair. 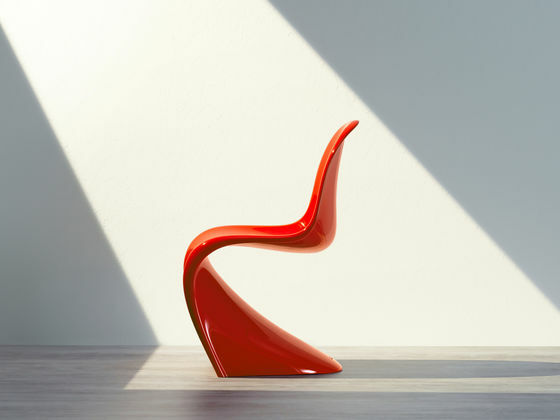 As its name suggests, the body of the chair takes the form of a cone. 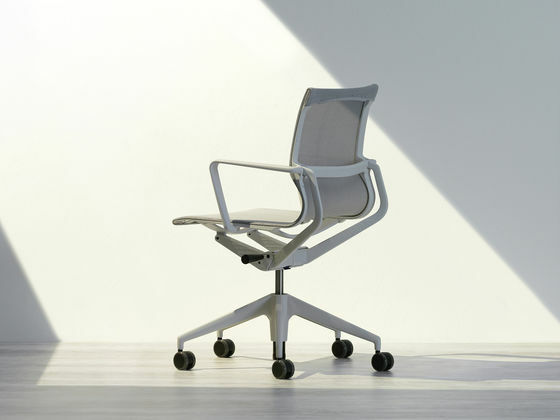 Standing on its tip, a semi-circular padded shell extends upwards to form the back and armrests, thereby creating a very comfortable armchair. 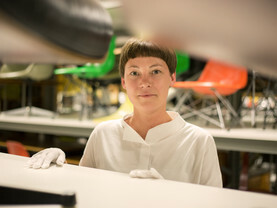 Or to quote the allegory used by Panton’s friend Niels-Jørgen Kaiser in his obituary for Verner Panton in 1999, the Cone Chair is a ‘ballet dancer standing on her toes and easily turning pirouettes’. 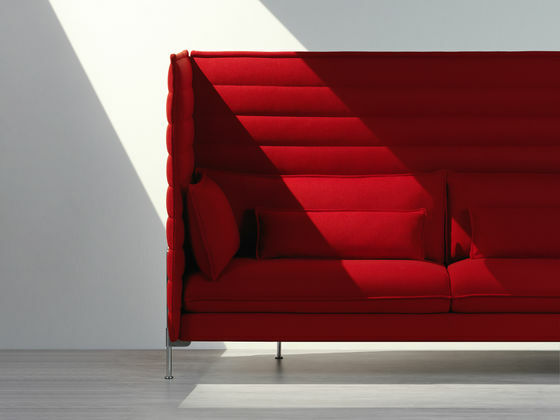 The entire body is covered in fabric – for Kom Igen, this was in the five different shades of red used for the interior design scheme. 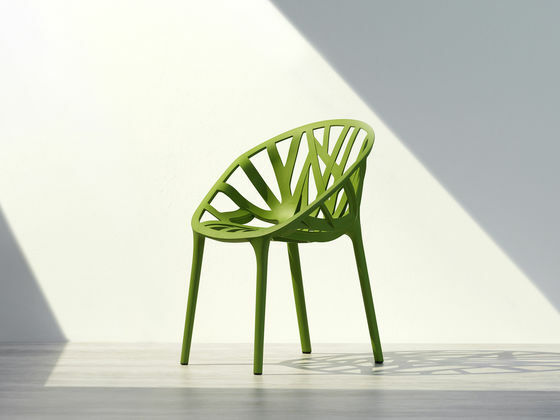 The Cone Chair is supported by a flat, slender four-star base made of brushed stainless steel. 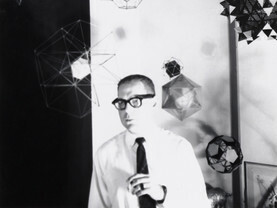 When later talking of the design, Verner Panton declared, ‘If we were to start from scratch … a structure like a cone is much simpler than the four-legged bistro chair standing over there.’ Few designers would probably agree with this statement, as the transition area between the tip of the cone and the base is subjected to extreme levels of strain, demanding extraordinary solidity as well as materials of exceptionally high quality. The Cone Chairs for Kom Igen were initially produced in a small forge on the island of Funen. 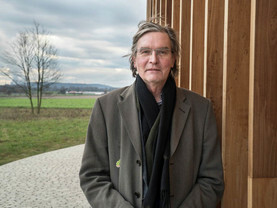 However, Danish design entrepreneur Percy von Halling-Koch took an interest in the design after spotting it during the restaurant’s opening reception. 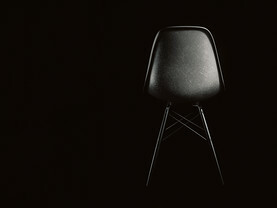 A short time later, he founded the company Plus-linje, specifically to produce the Cone Chair. 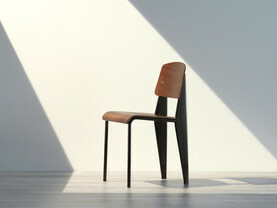 On its market launch, the chair caused a national and international sensation. The success of this design, along with the reliability of serial production methods, opened up further possibilities for Verner Panton in his continued work with the cone shape. 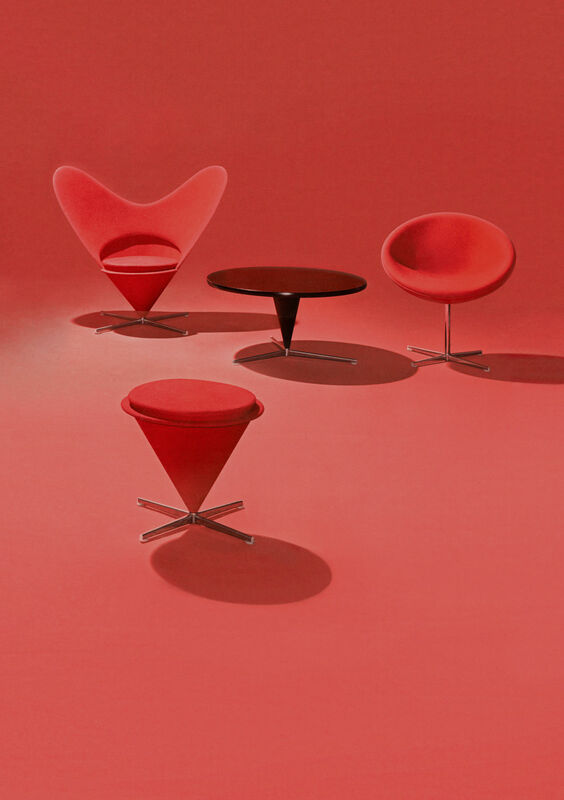 The first addition was the Cone Stool, a backless version, followed a year later by the now iconic Heart Cone Chair, famed for its inviting, heart-shaped backrest. 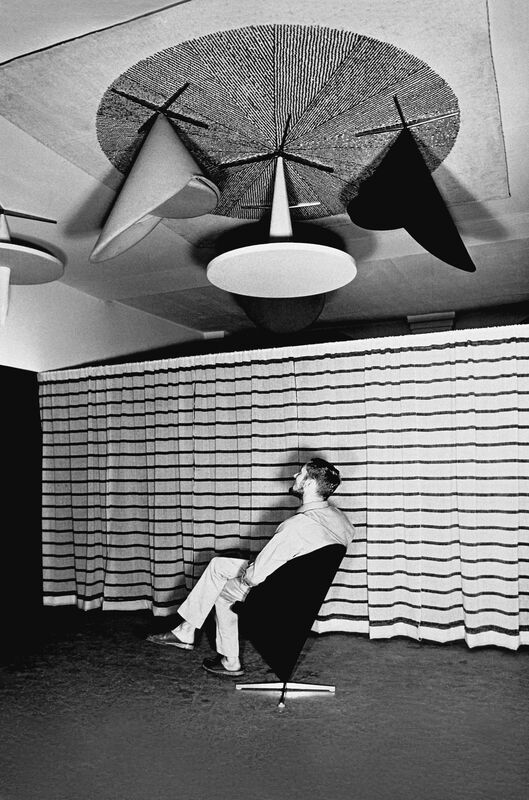 In 1959, the Danish sales fair Købestaevnet in Fredericia invited Verner Panton to design the exhibition. He elaborated on his concept as follows, ‘Experience shows that this fair attracts incredible crowds of people and they never get to see anything other than each other’s backs and shoulders. So, let’s place everything on the ceiling.’ Not just the Cone Chairs but many other items of furniture were attached to the ceiling so that visitors could get a better view. 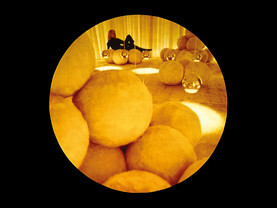 The press declared Panton raving mad, and many fellow architects and designers expressed their incomprehension of his alternative thinking. 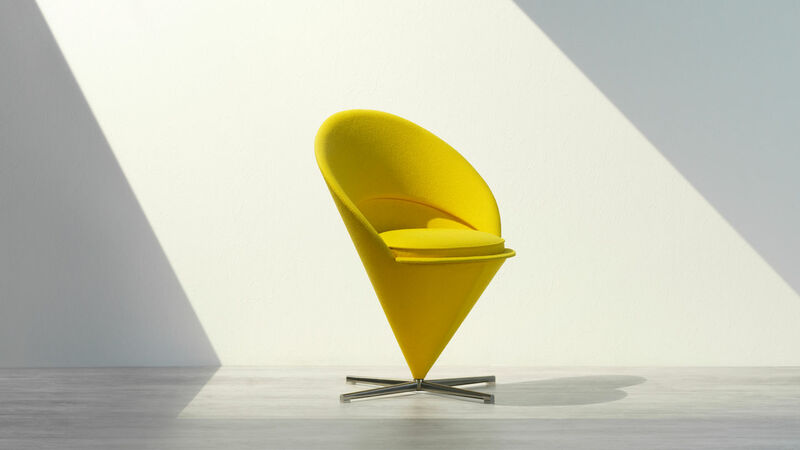 However, the Cone Chair could cause a stir without being fixed to the ceiling: when first presented in a New York shop window on a busy high street, it caused traffic chaos as drivers braked abruptly to get a better glimpse of this futuristic-looking chair. The store had to move it to another display area away from the street. 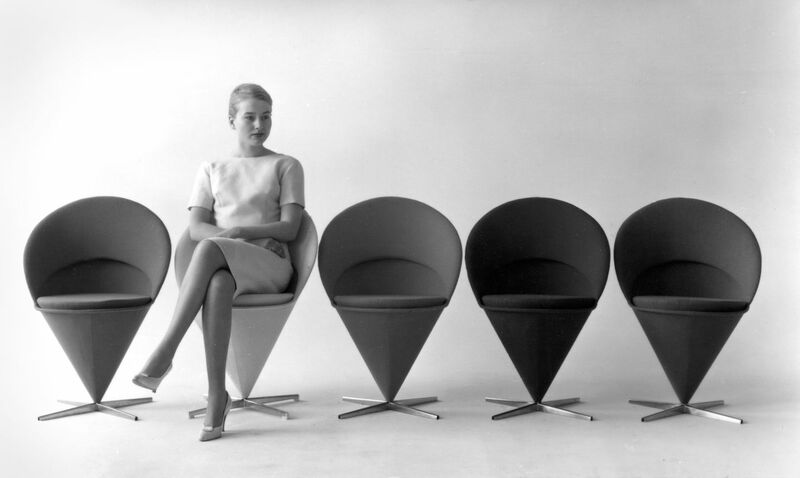 The Cone Chair’s innovative aesthetic modified the approach to seating in the latter part of the 1950s, and it was the first creation in the legendary design language for which Panton is renowned today. 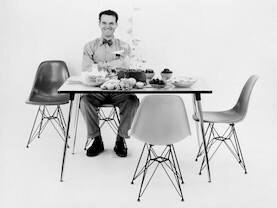 Vitra and Verner Panton teamed up to develop the Panton Chair shortly thereafter. 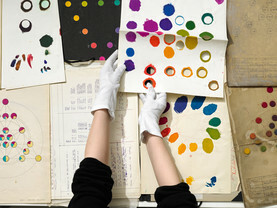 In 1963, the designer and his wife Marianne moved to Basel, in close vicinity to the Swiss company’s head office. 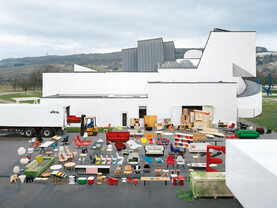 A lasting and continuing friendship with the owners of Vitra, the Fehlbaums, developed over the years. 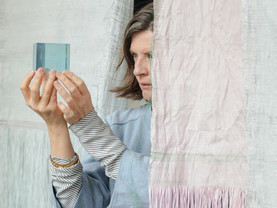 Marianne Panton still lives in Basel today. 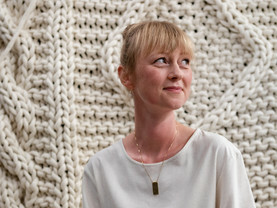 The careful management and further development of the Danish designer’s important legacy is one of the tasks that Vitra has inherited from this relationship. And because Plus-linje no longer exists, the Cone Chair, the Cone Stool and the Heart Cone Chair have been manufactured by Vitra since 2004.